The tradition of the Büdingen heritage was carried by Adam Büdinger’s grandson, Henry Bedinger, who was told stories of the old country and the family heritage as a child. The warrants we have today are the memories passed on by Henry to his grandchildren of an ancient seal that bore the arms of Büdingen, a griffin rampant, and, for a crest, the helmet of a knight. View of the Lower Gate of the city from the inside looking out. Painting by Heinrich Giebel, 1934. Büdingen Castle, a moated castle built by Lord Gerlach II von Büdingen in the thirteen century. Inside the thirteen angular wall ring are the main castle, the residence of the Lord, and the Gothic chapel. Extant to this date in Hesse is the ancient Gothic town of Büdingen named in 847. Büdingen in the county of Hesse, Germany is known for its medieval castle and stronghold built by the Lords of Büdingen that to this day is still in good condition as well as for its Gothic churches and timber framed houses. During the late Middle Ages a hereditary succession of Lords of Büdingen ruled the principality, a part of the Holy Roman Hohenstaufen Empire. The first Lord of this noble family was Gerlach von Büdingen born about 1000. Research reported by Hans Philippi (iia) shows that the lords of Büdingen were descended from the old and well-established family Hartmann of the Wetterau and the southern Vogelsberg regions of Hesse. A deed by the Count Hartmann is witnessed in 910 deeding the village, Kirchbacht, to Fulda Abbey. The Imperial Benedictine Abbey of Fulda was an ecclesiastical principality in the present-day German state of Hesse, founded in 744 by Saint Sturm a disciple of Saint Boniface. Later gifts by Counts of Hartmann to Fulda Abbey are recorded. 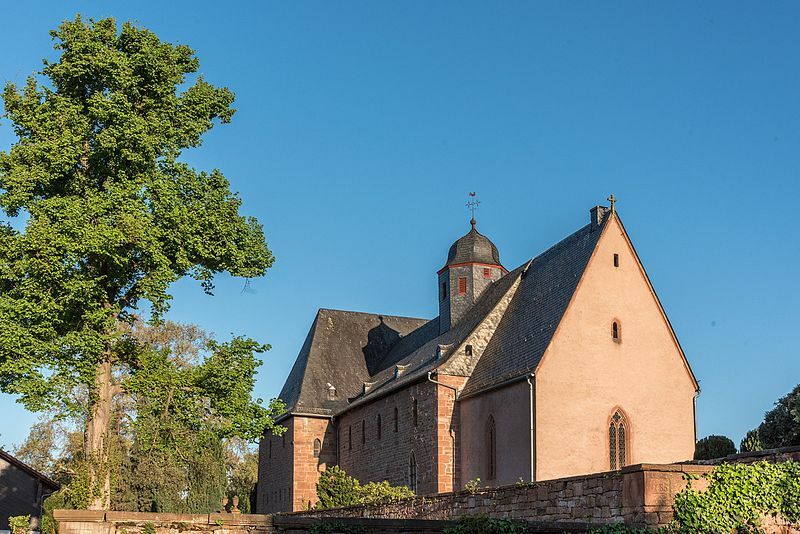 In the later part of the 10th century when Hartmann and wife, Hildigunt, gave the monastery ownership in several villages of Hesse. Inside the Schlosskapelle or Gothic Chapel of Büdingen Castle. Painting by Heinrich Giebel, 1934. The Oberhof. Painting by Heinrich Giebel, 1934. St. Remigius Church, church entrance in western transept. Photograph by Christoph Giebel. St. Remigius Church, view from the east showing the Chancel, Nave and Transept. Interior of St. Remigus Church looking down from the balcony of the western transept through the nave to the chancel. Photograph by Christoph Giebel. The wealthy family Hartmann [Hartmännern] was known in the region in and near Büdingen. In the late 9th century they are recorded with ownership of Glauberg, Florstad and Büdingen. Documents of 1131 have been interpreted by scholars as inferring that Gerlach I, the first Lord of Büdingen, was a member of the family Hartmann. As a Lord he was styled Gerlach von Büdingen. A brother of Gerlach, Ortwin, became established as Lord Ortwin von Ortenberg. Ortwin was probably succeeded by his son, known as Werner von Ortenberg. ​The Lords of Büdingen enjoyed close connections with the Staufen dynasty and were among the most important exponents of imperial Staufen politics in Rhine-Main-area. Under Frederick I (Barbarossa), King of Germany and Holy Roman Emperor, the city of Büdingen was granted the privilege of being a free imperial town. The construction of the Staufen Imperial Palace Gelnhausen was built under the direction of the Lords of Büdingen in 1170. ​The House of Staufen attained its greatest power and dominance during a dynasty of German kings from 1138 to 1254, during which besides Germany, they also ruled the Kingdom of Sicily (1194–1268) and Swabia[vi] from 1079. Three members of the dynasty, Frederick I, Henry VI and Frederick II, were crowned Holy Roman Emperor. The Büdinger dynasty closed without a male heir to succeed Lord ​Gerlach II von Büdingen. Gerlach II, died in 1247 leaving four daughters. His daughter Mechtild married a second time to Heinrich III von Isenburg. Heinrich III was heir of the medieval aristocratic family of Isenburg, a family well-established in the region. This joining of these two related medieval families was reinforced by the marriage of their son, Ludwig I von Isenburg-Büdingen, to Hedwig von Büdingen, daughter of Luitgard von Büdingen. 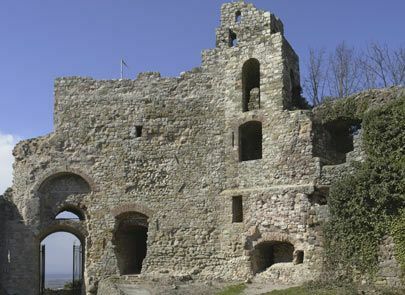 Thus, Ludwig I von Isenburg-Büdingen, heir of the Lords of Büdingen and Isenburg inherited the castle, city and domain. Thereby the principality of Isenburg-Büdingen came into being. Through the succeeding centuries the principalities of the Isenburg-Büdingen heirs were variously mediatized (joined) and partitioned as succeeding generations merged with other houses and inherited fortunes as royal lines died out. Through time of some 700 years the House of Isenburg–Büdingen has remained intact and exists to this day. The arms of the House of Isenburg-Büdingen combine the arms of Büdingen, a lion rampant with a Knight’s helmet for a crest, overlying a shield bearing the bars of the Isenburg arms. The documentation of our Bedinger line begins with Niclaus Biettinger in Switzerland and his son Elias born in Gondiswil, Switzerland in the 16th century. Between the known end of the line of the Lords of Büdingen in the 13th century is a time gap that spans the turmoil of wars that ravaged the states of Holy Roman Empire in Europe. The turbulent conflicts among principalities of Germany were aggravated by unrest of clergymen of the Catholic Church presaging the advent of the Protestant Reformation as early as the fourteenth century by John Wycliffe (1330-1384) and followed closely by John Huss (1369-1415) who attacked what he conceived to be corruptions within the Roman Church including the sale of indulgences and low moral standard of ordained priests. Martin Luther argued that the Bible was the sole standard of Christian doctrine and the authority of the Pope was not based on scripture. Historians date the start of the Protestant Reformation at 1517 when Martin Luther nailed his 95 theses into the Wittenberg Church door. His hope that his criticisms would spur renewal of the church did not prevail and he was excommunicated. Luther effectively used the power of the press to spread his ideas and teachings. He inspired many Germans, both peasants and princes. It is said that when Martin Luther passed through Büdingen in 1521 that many converted to Protestantism. Over time, with a succession of different ruling lords, there has been a succession of changes in state sanctioned religious beliefs. 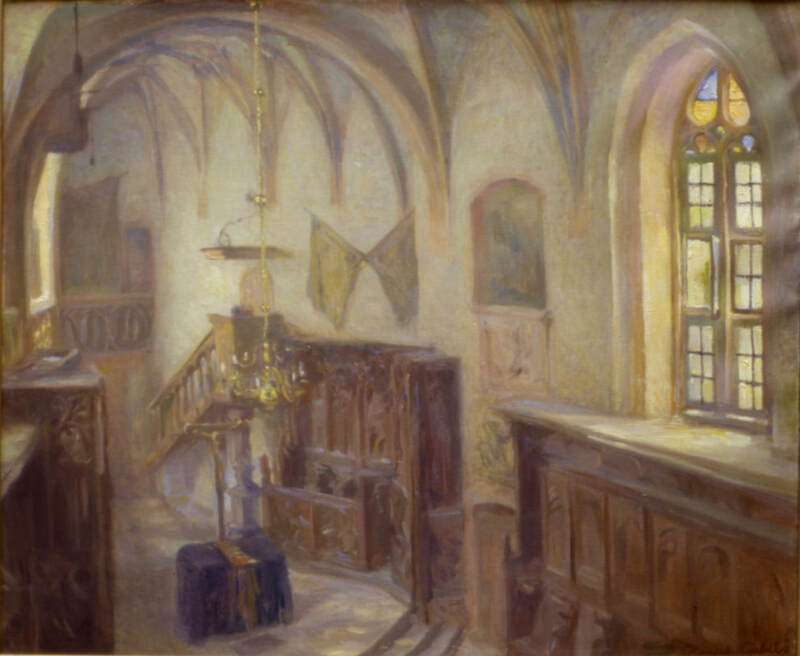 Our Bedinger forebears left the Catholic Church before or during the early 16th century when, with many Protestant exiles, our line of Bedinger ancestors sought refuge in Switzerland, where the Reformation was led by Ulrich Zwingli and John Calvin. But even in Protestant Switzerland bitter theological differences emerged creating disparate belief systems and hostile fractionation within the protestant movement. By the later part of the 16th century we find our Bedinger ancestors being religious outcasts of the Mennonite faith in Gondiswil, Switzerland where they were forced to live in conclaves away from large centers of the population. 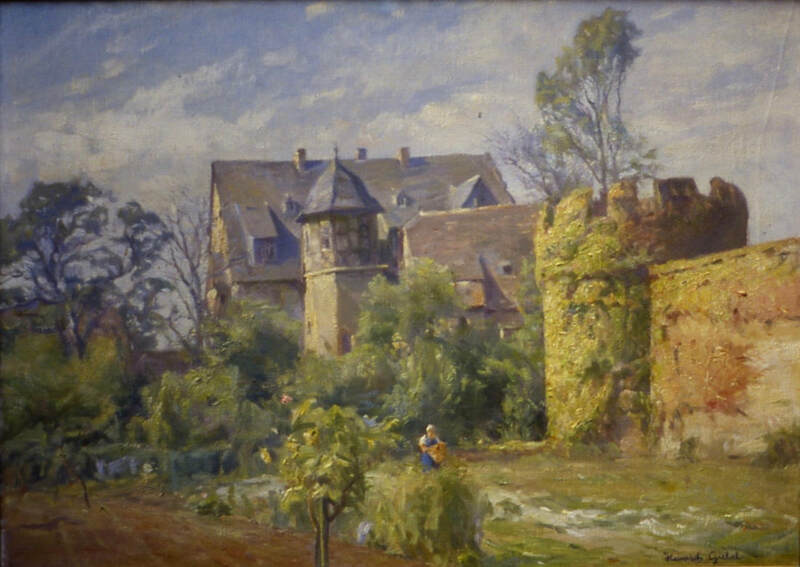 Seeking relief from persecution, Peter Bietinger removed his family to Ottwiller, in the territory of Lützelstein, Alsace, a part of France, but populated predominantly by Germans. In Ottwiller, and later in nearby Durstel, Alsace, the Bedingers joined with the Protestant congregations where the family births and marriages were recorded. ​[i] Dandridge, Danske, unpublished manuscript, “Henry Bedinger and Old Shepherdstown” in Bedinger and Dandridge Family Papers, David M. Rubenstein Rare Book & Manuscript Library, Duke University. [ii] Dandridge, Danske, 1909, George Michael Bedinger A Kentucky Pioneer, The Michie Company, Printers, Charlottesville, Virginia, 232 p., 4,5. [iia] Philippi, Hans, 1954, Territorialgeschichte der Grafschaft Büdingen, Marburg, 212 p.
[iii] Fugenschnitte are joint cuts artificially applied joints in plaster that give a façade the appearance of a monumental masonry. This technique was used, for example, in the prestigious Renaissance palaces in Florence. 1.Historical monuments in Hessen, Wetteraukreis I (= Denkmaltopographie Federal Republic of Germany .). Braunschweig, Wiesbaden 1982, ISBN 3-528-06231-2 , p 69. 2. Klaus Peter Decker: Parish History and Church Politics - The Church in Büdingen between the Middle Ages and the Reformation. In: 1491-1991 - 500 years of the Marienkirche Büdingen. Protestant parish of Büdingen, Büdingen 1991. 3. Walter Nieß: On the origin of Büdingen. In: Büdinger history association (Hrsg. ): Büdinger history sheets. Volume 17, 1999, p. 71. ​[v] The relationships and lineages related here are somewhat conjectural. The documents available have been carefully read and analyzed by researchers, but the records are not primarily of a genealogical nature. Vital data for persons was not systematically collected and recorded and much genealogical lineages are inferred from incidental references gleaned from documents of business, contracts, agreements and the like. The genealogical relations given in this page are generally consistent with the genealogy compiled by Robert Lord. Other compilations of the families of Büdingen and of Isenburg differ in many respects from that of Robert Lord. The genealogy compiled by Robert Lord is given in Rootsweb’s WorldConnect Project: "Robert Lord Ancestors, Robert E. Lord". The principal references for the Wikipedia article follow. 1. Klaus-Peter Decker: Lords in the Wetterau. In: knights, counts and princes - worldly dominions in the Hessian area about 900-1806 (= Handbook of Hessian history, Vol 3 = Publications of the Historical Commission for Hesse, Vol. 63). Marburg 2014, ISBN 978-3-942225-17-5. 2. Karl Ernst Demandt : The Lords of Büdingen and the empire in the Hohenstaufen period. In: Hessian yearbook for country history. Vol. 5, 1955, pp. 49-84. 3. Karl Ernst Demandt: History of the Land of Hessen. 2nd edition, Bärenreiter, Kassel and Basel 1972, ISBN 3-7618-0404-0 , pp 496-498. 4. Angela Metzner: Reichslandpolitik, nobility and castles - Investigations of the Wetterau in the Staufer period. In: Büdinger Geschichtsblätter. Vol. 21, 2008/2009, especially pp. 113-128. 5. Hans Philippi : Territorial history of the county Büdingen (= writings of the Hessian office for historical regional studies, volume 23). Elwert, Marburg 1954, pp. 90-114.